Boelter has a wide selection of food boxes and lids to fit virtually any footprint in any commercial kitchen. 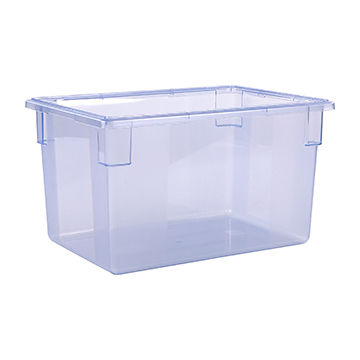 Search our online store for a wide variety of plastic bins to preserve and organize perishable items in the kitchen. Raw or cooked, fruits or vegetables, meats, fish or poultry, clear and/or white food boxes are a great way to store and stack. Carlisle 10624C05 Storplus Red Food Storage Box 18"x26"x15"
Carlisle 10623C05 Storplus Red Food Storage Box 18"x26"x12"
Carlisle 10622C09 Storplus Green Food Storage Box 18"x26"x9"
Carlisle 10621C09 Storplus Green Food Storage Box 18"x26"x6"